Ancient humans had to hunt for survival. They also had to either fight or flight (run away) when being hunted. This invariably required them to be robust and agile. However modern amenities have eliminated tough physical exertion in our day to day activities.. And this has caused/increased all varieties of Life style lifestyle ailments, like diabetes, hypertension, psychological disorders etc. All these worries can be reduced to a great extent through good physical exercise done regularly. Running is an excellent method of physical exertion with benefits to all the parts of the body. Any aerobic exercise specially running induces the secretion of ‘endorphins’ which are nature’s incentive to make a person feel ‘euphoric’ apart from feeling, confident and agile. Good aerobic exercise like running relieves the much talked about ‘stress’ of modern day lives. It’s unfortunate that people often complain that they are so exhausted after work. That feeling of tiredness is actually psychological wearing out and is not physical tiredness. And these are the very people who will require and reap the benefits of running. Running, as a de-stressor relieves tiredness; getting them refreshed and ready for their day. Brain atrophy in old age to a certain extent is a normal phenomenon. However, it is documented in scientific studies that running causes brain cells to regenerate and also keeps several degenerative illnesses of the brain in abeyance. Scientific studies have also shown that running increases memory. Walking is much more practiced by one and all, especially in India due to lack of will power for running but walking is a very poor cousin of running. The benefits of walking are minimal unlike the robust exercise as in running. Running makes the heart pump blood vigorously compared to, it’s performance at rest. The blood vessels of almost all the organs of the body dilate allowing for the greater flow of blood. This increases the nutrition to all the organs specially the muscles, in turn bettering their efficiency and the longevity. The coronary arteries of the heart also dilate with better nourishment to the heart, which reduces the incidence ‘heart attacks’. Muscles contract and lungs expand vigorously, blood glucose gets utilized rapidly, which enhance overall efficiency of our body. All these factors occur to a minimal extent in a mild exercise like walking. In fact an athlete heart can pump 20-25L of blood in a minute when he/she is running whereas an average sedentary person’s heart would be able to pump only 8-9L that too it is not sustained. Also he would feel exhausted quite soon. In a regular athlete the resting pulse rate may come down even below 50/mt ( normal 74/mt) making the heart much more efficient. Improper shoes – we need to get shoes which suit our feet. Not the latest and greatest. You don’t buy a Volvo bus for a family of 4 just because it is the latest release and is the biggest vehicle out there. 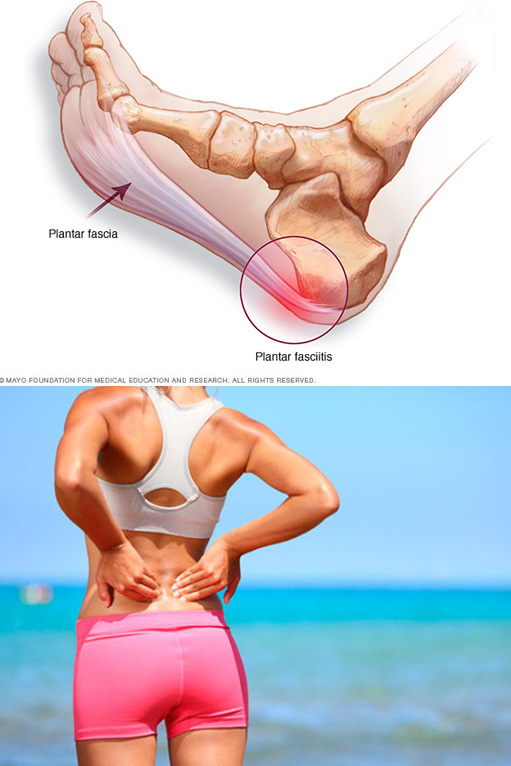 If you have a pain in your shins or shin splints, as some call them, check your shoes: Are they worn out or are they not suitable because you are flat footed, or high arched? Find out the basics about your feet type and the ideal shoes for you in the section on running shoes. If you have had your running shoes for a year or so, replace them as they have probably lost 70% of their cushioning. Else, you can reduce your runs, rest a bit. Also try and strengthen the muscles of your shin (i.e. the front of the leg below your knees). You could do this by standing on a step and raising both sets of toes. Some of us could get a pain in the knee area, called Runner’s Knee, if we have been running. Rub ice on your knee after exercise, reduce the amount of running, run on a treadmill instead of on the road and review the condition and appropriateness of your shoes again. There are various other injuries that could occur due to overtraining, incorrect posture, incorrect shoes, inadequate stretching opr warming up before a strenuous exercise. “Running increases the mineral density of the bone and reduces the risk of osteoporosis with age. It has been found that the average bone mineral density in the thigh is 5% higher in runners than their non running companions and 8% higher than those who did not exercise at all, making them less susceptible to fracture following trivial falls. Running builds and strengthens muscle tissue, especially in the lower limbs. Increased muscle strength also provides a protective cover to the joints . It is unclear if long-distance running causes the hip and knee joints to deteriorate. The current evidence suggests that moderate level of running do not increase the risk of osteoarthritis of hip and knee for healthy people. Infact there is evidence to suggest that this activity might even have some protective effect on the joints. Increase muscle strength and constant motion preserves the biomechanics of the joint.Some of the causative or aggravating factors for running associative injuries are over training errors, inadequate flexibility, inadequate strength, inappropriate footwear and poor biomechanics. A critical area to focus on is to get an appropriate running shoe for the feet – depending on whether you are flat footed, high arched, or neutral arched. Very often inappropriate running shoes cause foot pain, which gradually tends to creep up the skeletal system to the ankles, then knees, hips and ultimately the lower back. Educate yourself on these basics and enjoy a healthier life – start running and living. 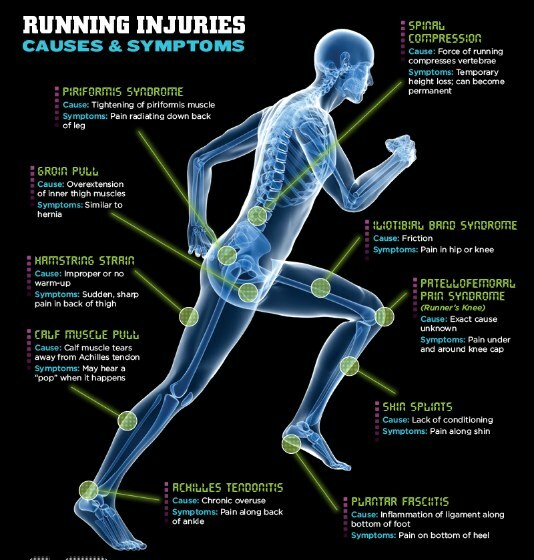 Read more about running and the knees – Running is bad for your knees? Time to bust another myth“. If you would like to receive emailers on information on running and our running events – drop us a mail at contactus@runningandliving.com and send us your name and city of residence.